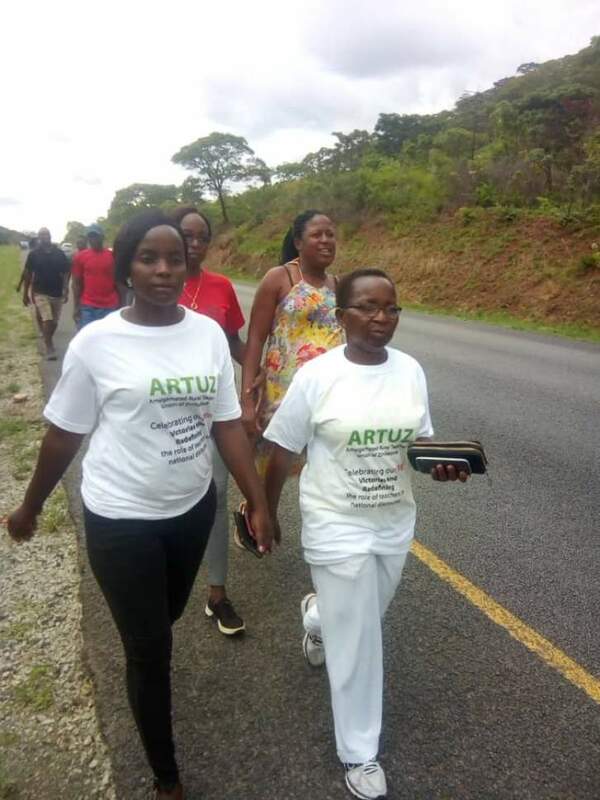 Teachers from the Amalgamated Rural Teachers Union of Zimbabwe are marching from Mutare to Harare in protest against poor salaries and government's failure to prioritise the education sector. The teachers are demanding to be paid their salaries in United States dollars, and also want their 2018 bonuses also paid on housing and transport allowances. The 258km journey to Harare is expected to take them 52 hours.